The Occupation is a campaign designed to promote the occupation of ideas and spaces by women. In chapter 2, we profile some awesome path-breaking Indian women who have carved a space for themselves and women who followed by, literally, venturing where no woman had ventured before. It’s easy to forget the how far we’ve come in our quest for human rights and the journey from the kitchen to the outside world. And also that all the freedoms we now take for granted—the clothes we wear, careers we choose, solo travel—were hard-won victories by feminist foremothers before us. Like Kathrine Switzer, who ran the all-male Boston Marathon in 1967, and Rosa Parks, who sparked the Montgomery Bus Boycott of the American Civil Rights Movement when she refused to give up her seat in the ‘colored section’ to a white passenger in 1955. Here’s a list of some of our Indian trailblazers. As a young student, Kamala was denied admission to IISc by Nobel Laureate CV Raman because he believed women were incapable of scientific research. She pursued him relentlessly until he admitted her to study biochemistry; and her hard work, dedication and general excellence convinced him of women’s abilities vis-à-vis science. The year after she graduated, Raman opened admissions to female students. Kamala went on to win a research scholarship to Cambridge, followed by another at the Hopkins Lab. Sudha was a computer scientist and engineer studying at IISc when she noticed a call for applications for an engineering job posting by Tata Motors (then Telco) that specified ‘Lady candidates need not apply’. She wrote a letter to JRD Tata questioning the attitude of the company towards gender roles in the workspace, and got an interview and the job! 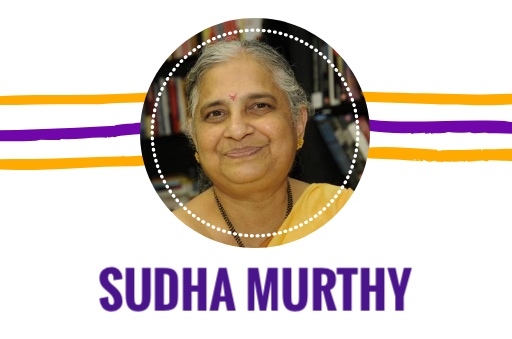 Sudha worked at Telco for a few years before she went on to start the IT company Infosys with her husband, and is a noted author and philanthropist. In an act that would become iconic—both as a publicity stunt and as well as a defining moment for Indian female sexuality—model-turned-Odissi champion Protima made headlines when she streaked across Juhu Beach in Mumbai to promote the launch of Cine Blitz magazine. Open about her sexuality and comfortable with her body, Protima embraced her agency to do as she pleased, shocking the moralistic concerns of a conservative society. She defined her own womanhood and opened the floodgates for women who were waiting to do the same. Bachendri braved a great deal of opposition from her family to take up a career as a mountaineer and, after summiting a number of smaller peaks, became a member of the first mixed-gender team to attempt an expedition to Mount Everest. Despite multiple setbacks and various team members abandoning the expedition, Bachendri persisted to become the only woman in the team that eventually reached the summit. She continues to climb in her 60s, and helped rescue operations in the remote high-altitude villages affected by the Uttarakhand floods in 2013. When drummer and electronic musician Kiran got her period the night before the London Marathon, she considered quitting despite having trained for months. An epiphany—about how most women, particularly in India, do not have access to pads—made her decide to get over it and just run. With support from her family and friends, she crossed the finish line free-bleeding and made a global point about menstrual hygiene issues in India and around the world. Formed in 1965 and with nearly 2.5 lakh officers, it is only in 2013 that the Border Security Force began the initiation of women officers. Tanushree was the first woman to be commissioned as a combat officer. As Assistant Commandant, she serves in a command unit along the India-Pakistan border in Punjab. Her induction into the BSF is necessary to encourage young women to take up careers that they are not ordinarily offered. The Test Case on ALT Balaji stars Nimrat Kaur as the fictional character Captain Shikha Sharma, India’s first female army officer in a combat role. Want to contribute to The Occupation? If you have any photographs of women reclaiming public spaces, share them with us on Facebook or tweet us at @whyindmenrape with the hashtag #womenexisting; or email us at contact@whyindianmenrape.com for stories, ideas and everything else. To show your support for what we do, please CONTRIBUTE and/or PRE-ORDER the books here.